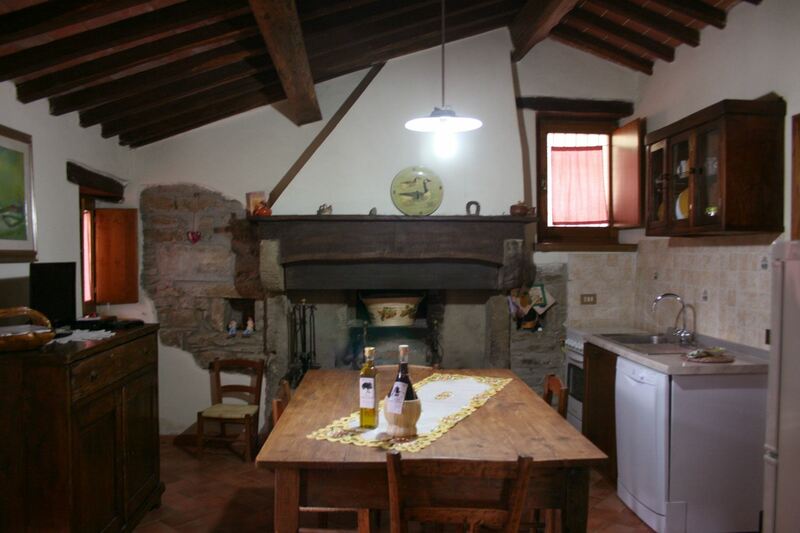 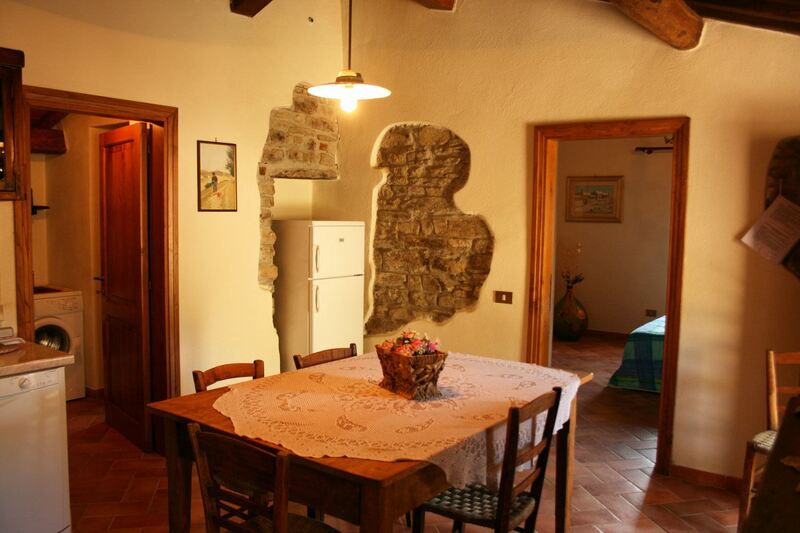 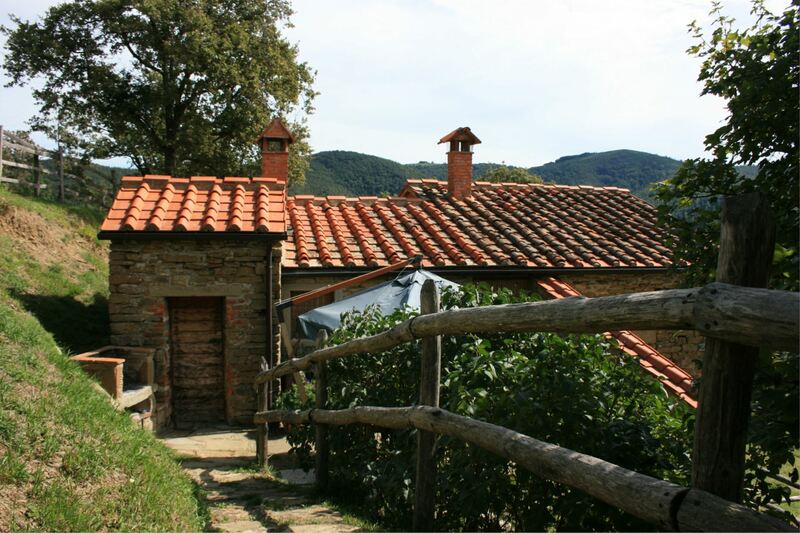 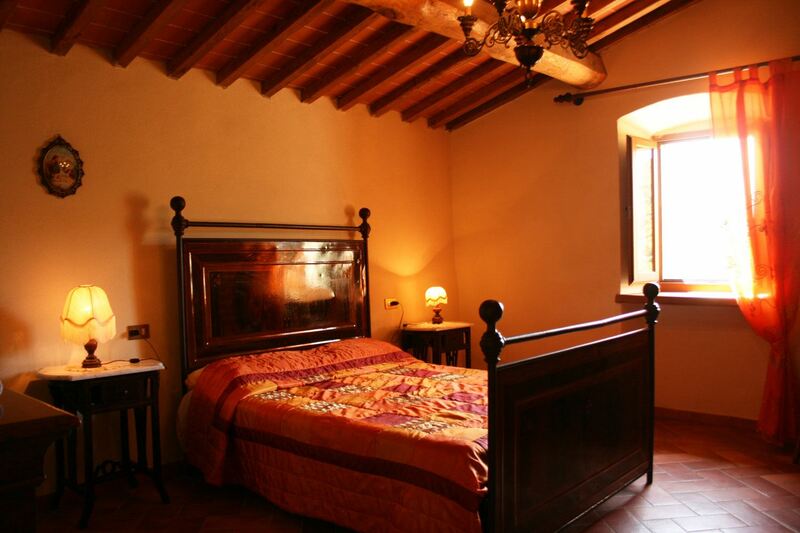 An ancient farmhouse at the gates of the city of Arezzo. 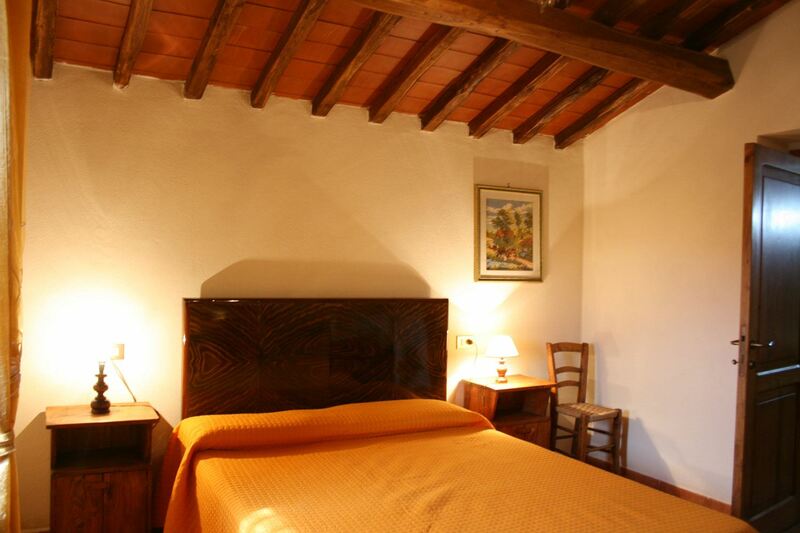 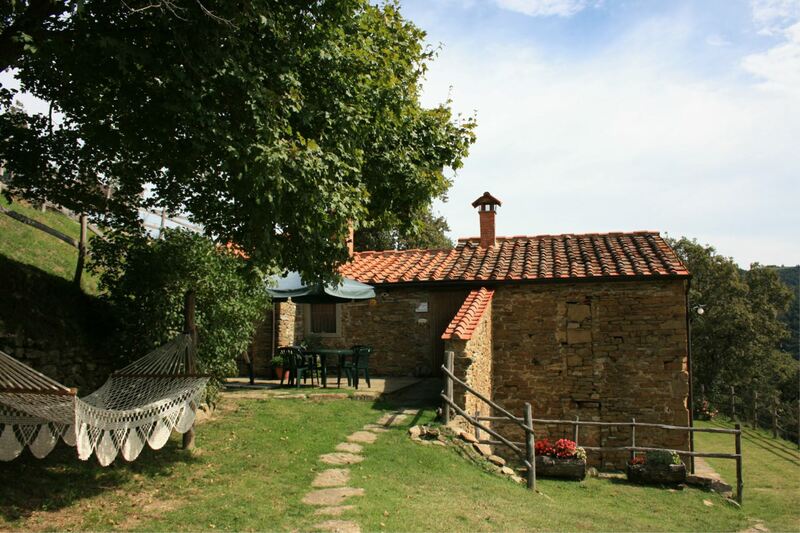 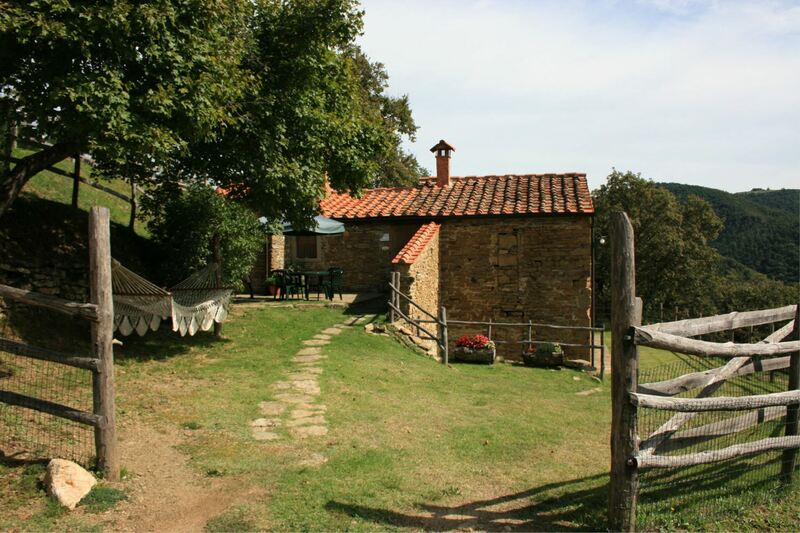 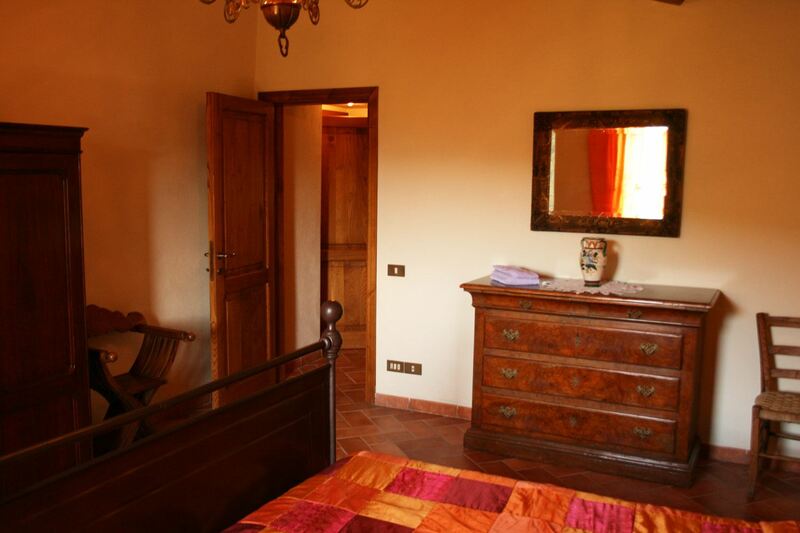 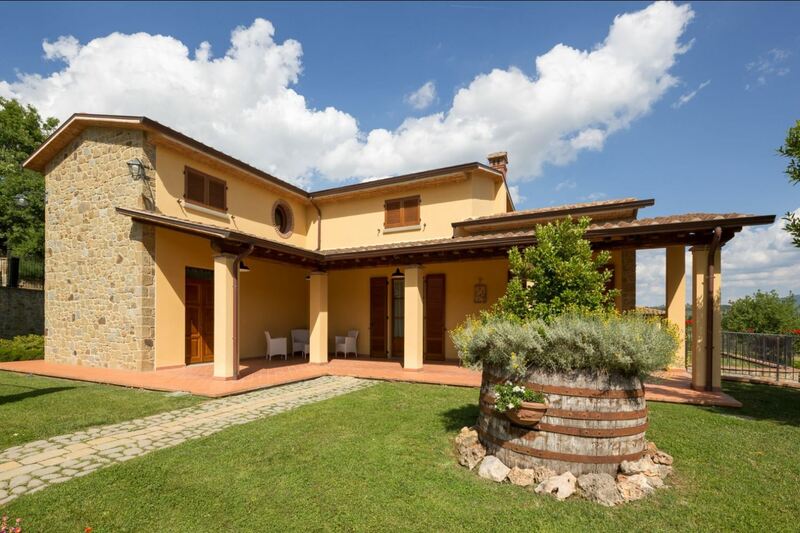 Laid on a green hill which frames the city of Arezzo we find the ancient farmhouse of Tribbiano where, for more than 100 years, the owners' forefathers had lived working the land around the house. 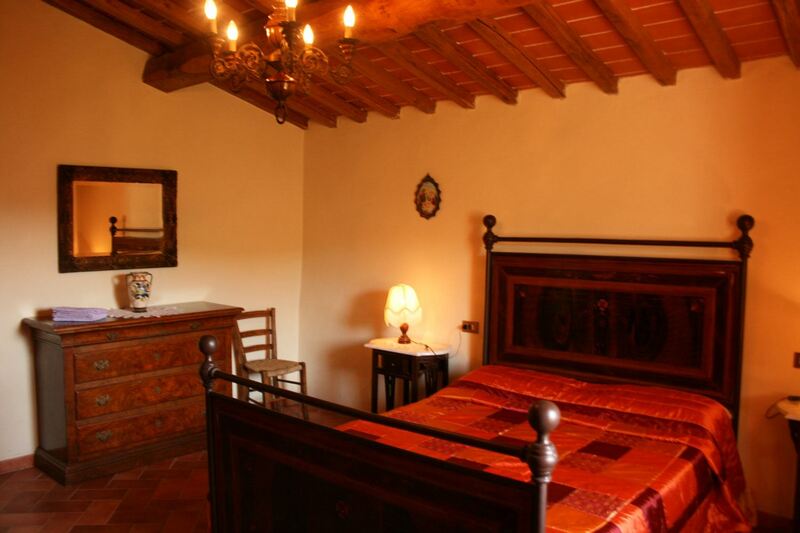 Arezzo, only a few km far, offers shops and services and is a recommended destination to visit important museums, works of art or to attend to folk events such as the Joust of the Saracen. 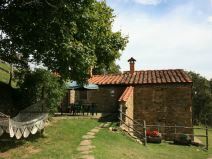 Every first Sunday of the month you can take exciting walks around the Antiques Fair stands, searching for precious objects. 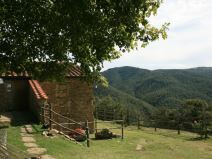 Secluded position plunged in the uncontaminated nature. 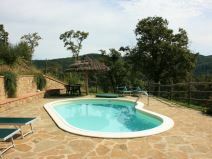 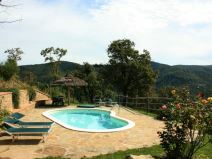 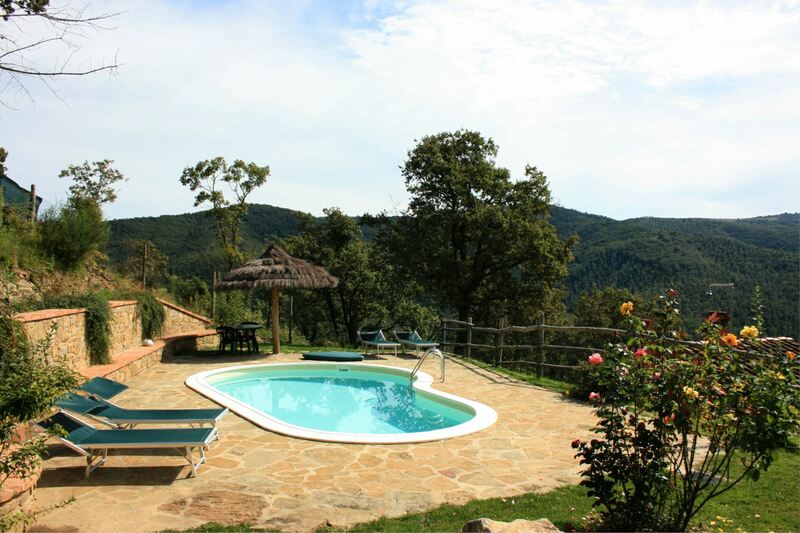 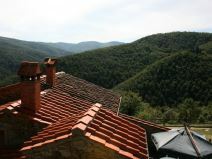 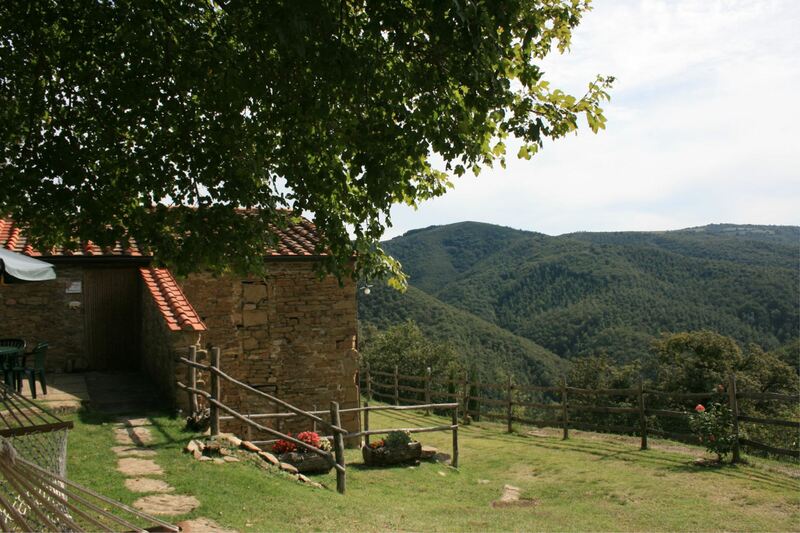 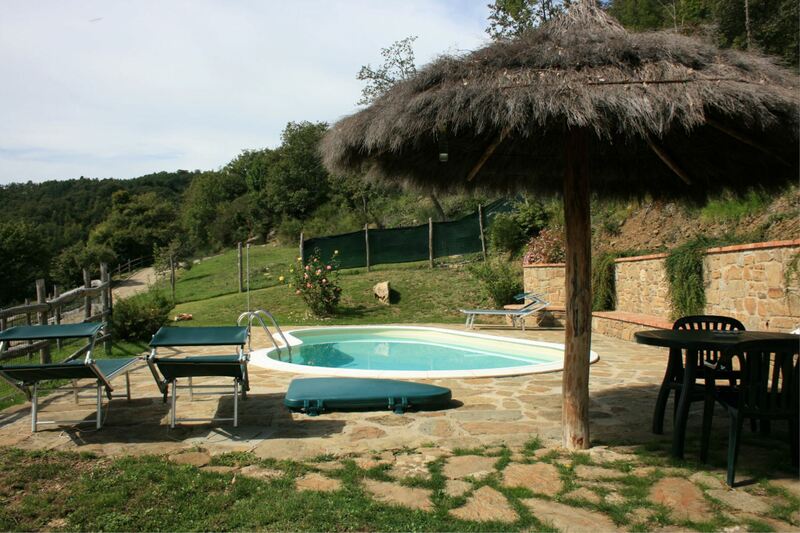 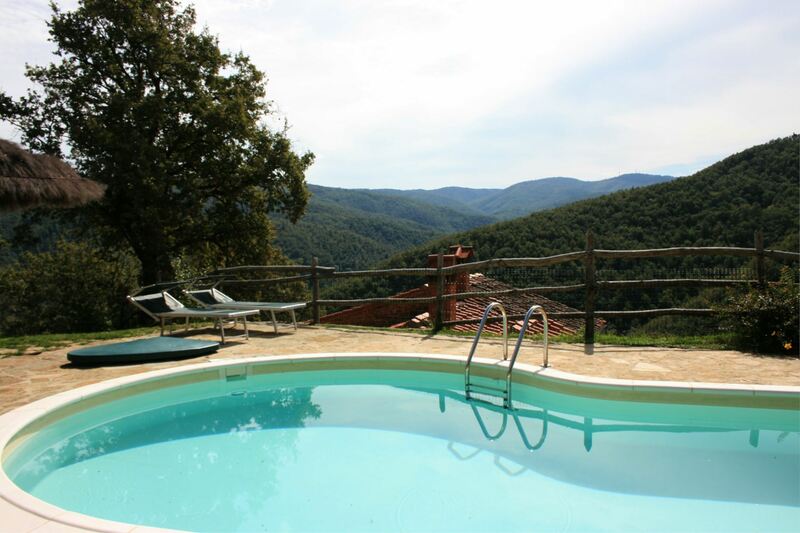 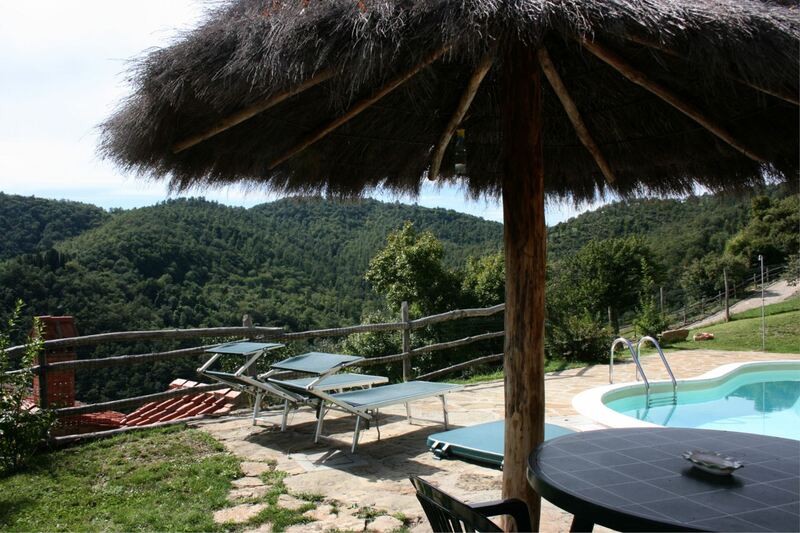 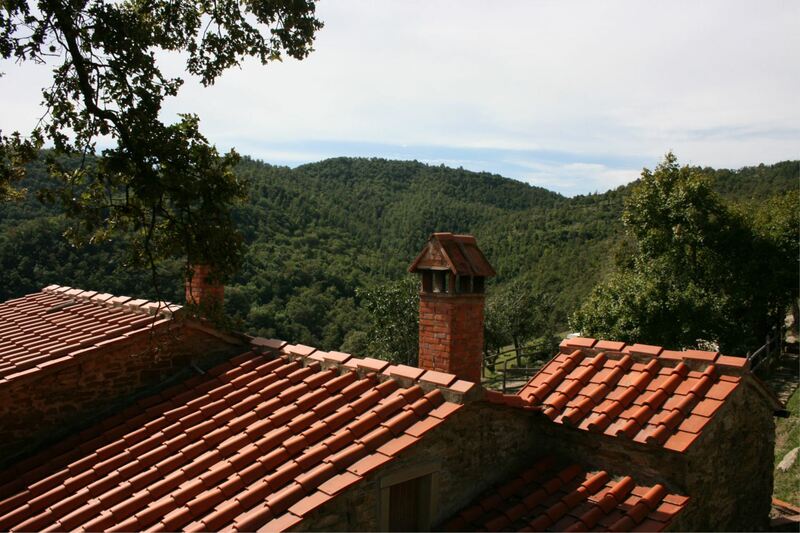 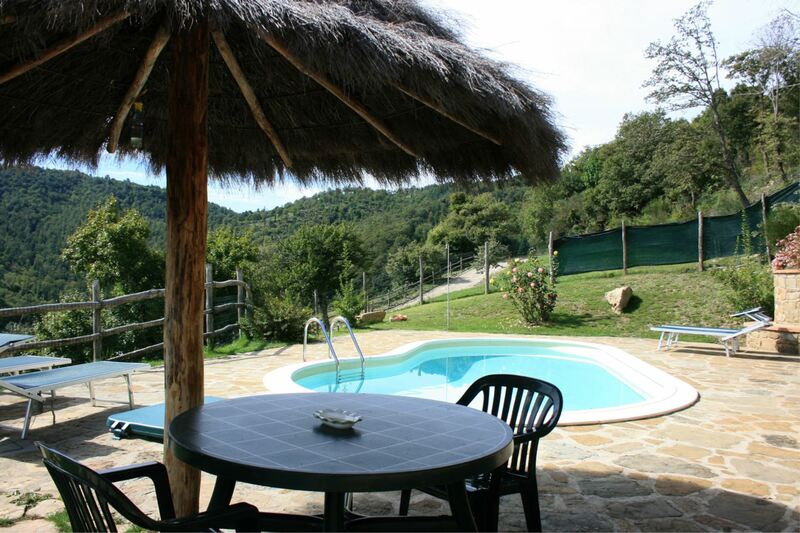 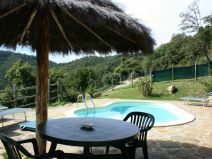 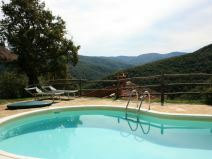 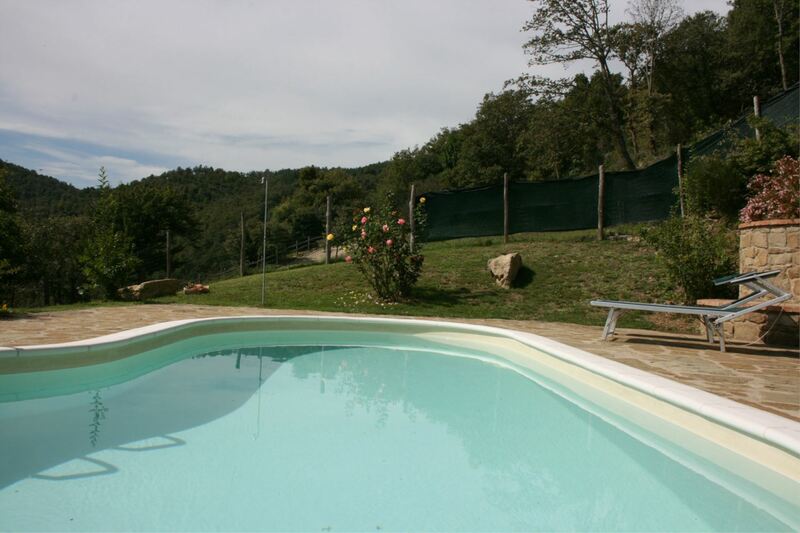 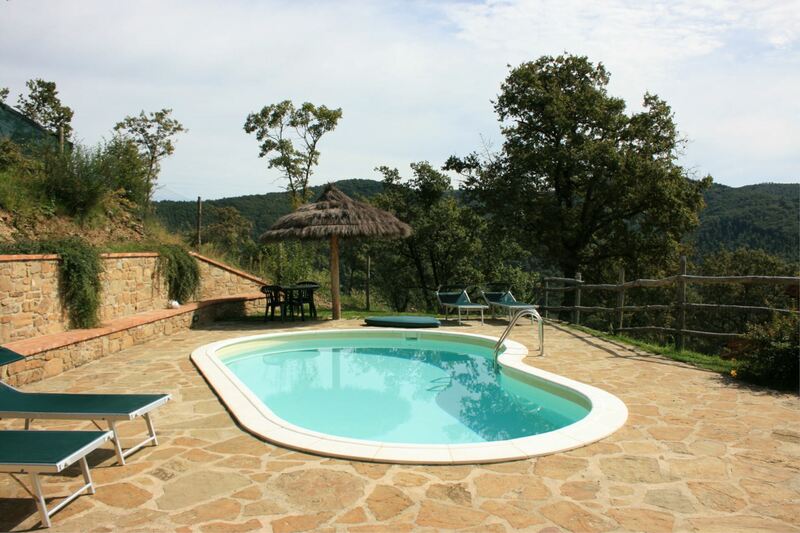 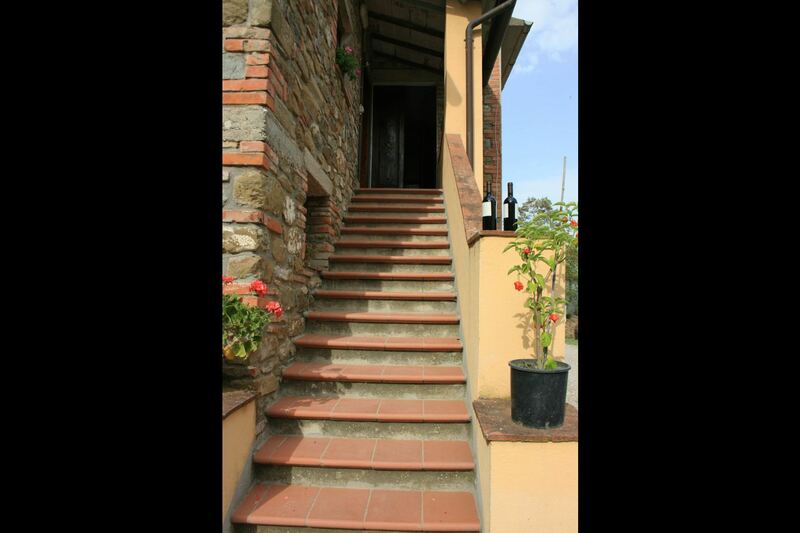 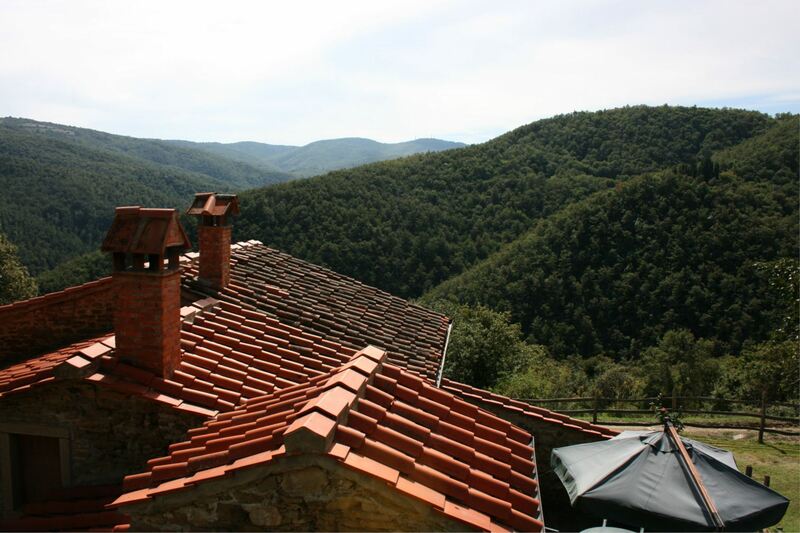 The farmhouse Tribbiano is placed on a natural terrace overlooking the beautiful landscape of the surrounding hills. 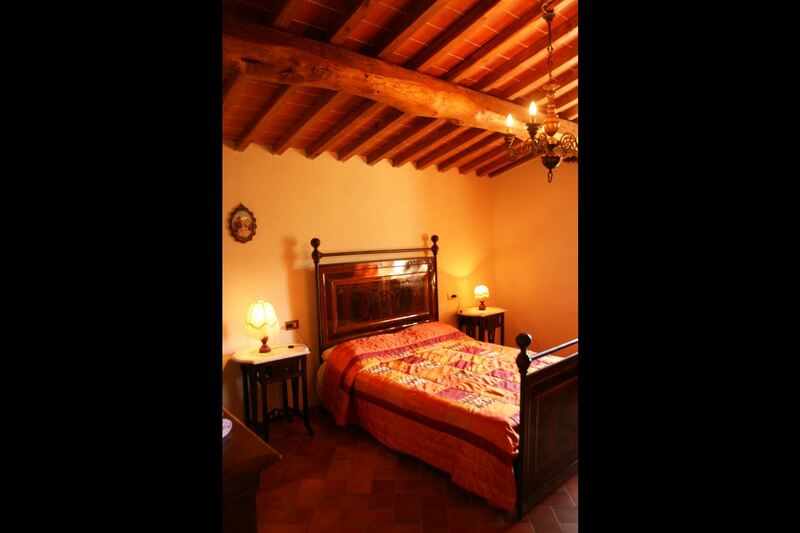 Its original architecture has been revealed by a recent renovation which has brought back to life the old splendor. 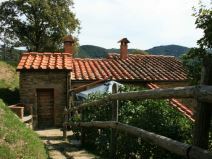 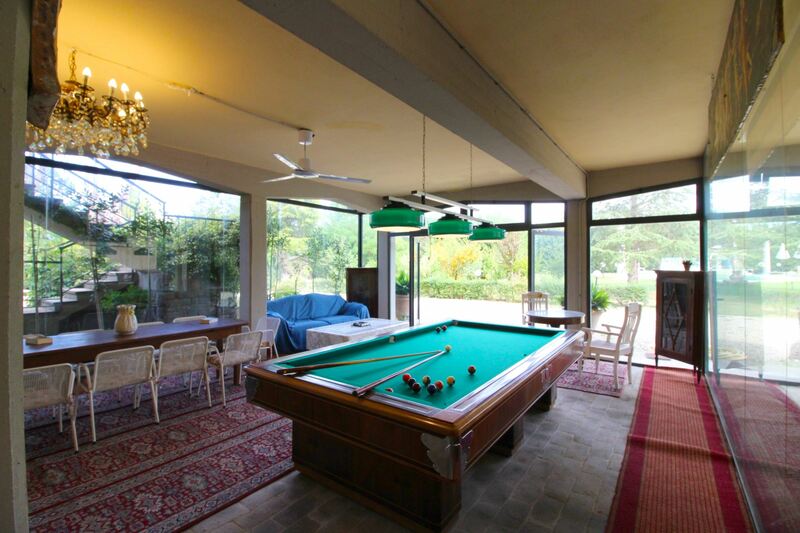 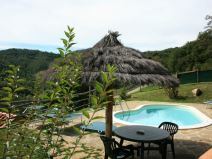 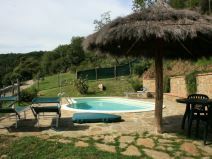 The house can be reached through a panoramic unmade road around 3 km long, well kept but not recommendable to sport cars. 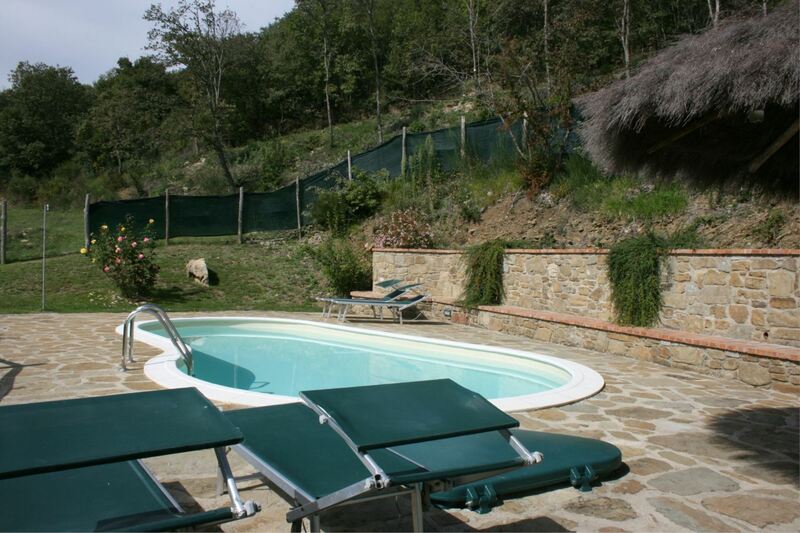 Around the house a wide, completely fenced garden where we find a swimming pool (size mt. 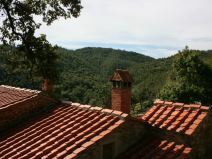 7x4, depth mt. 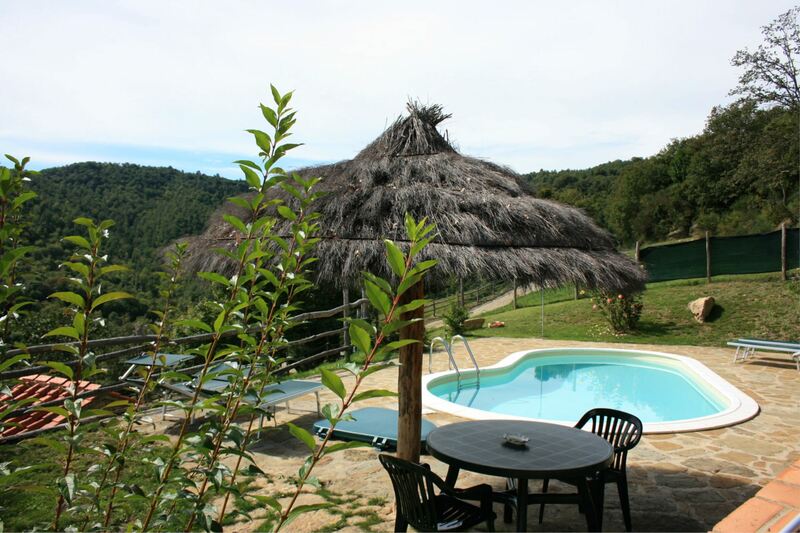 1,20) on a sunny terrace, a barbecue and an equipped outdoor space with table and chairs to eat outside. 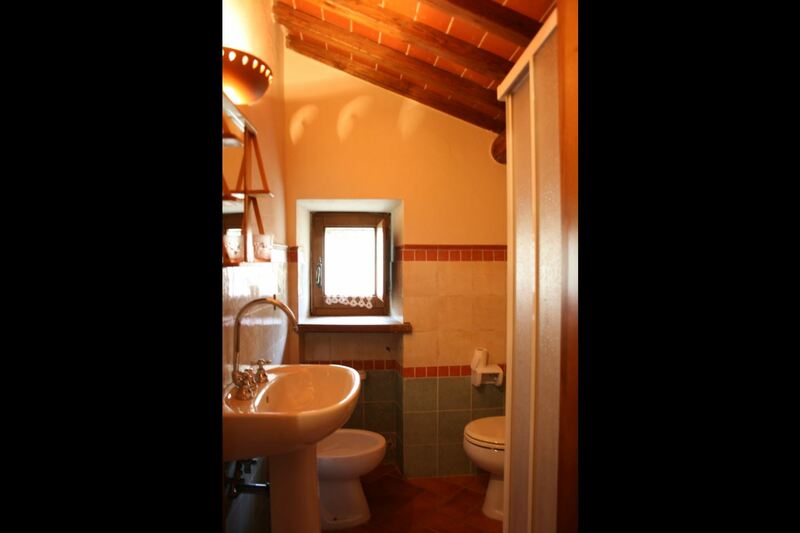 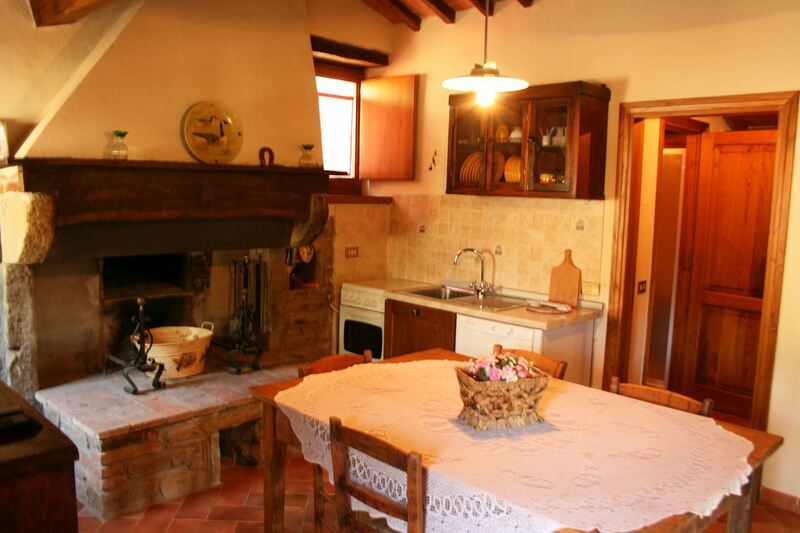 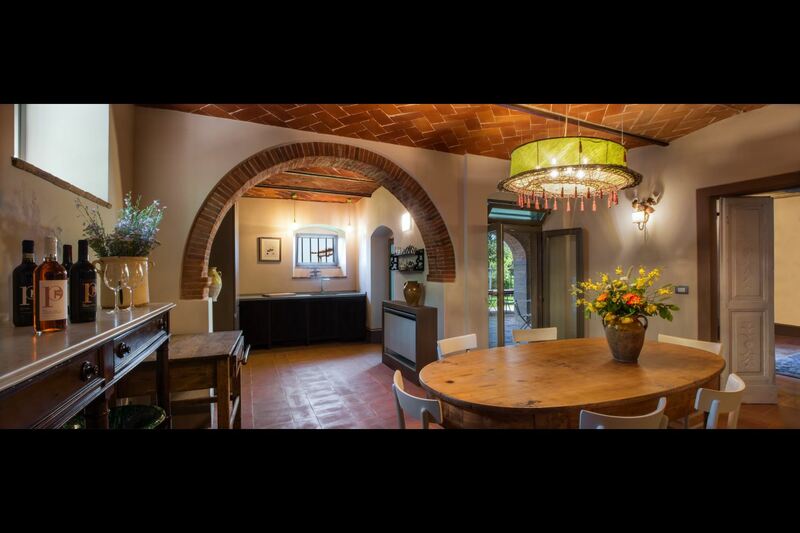 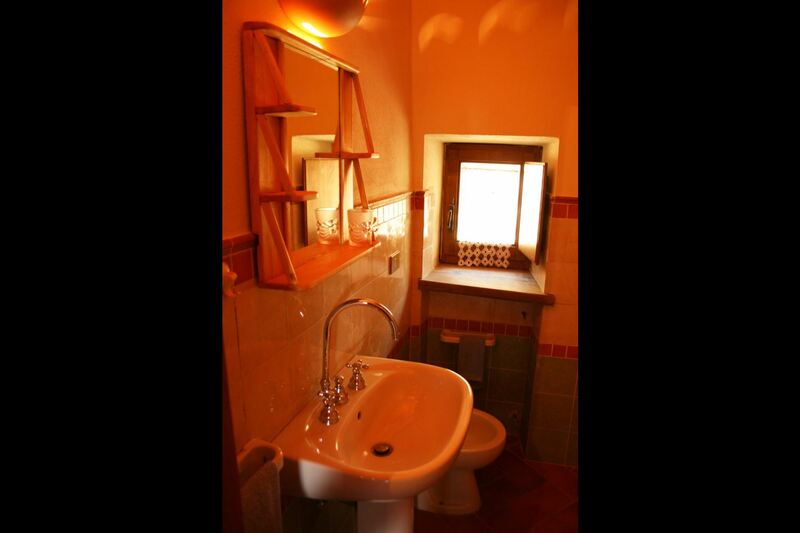 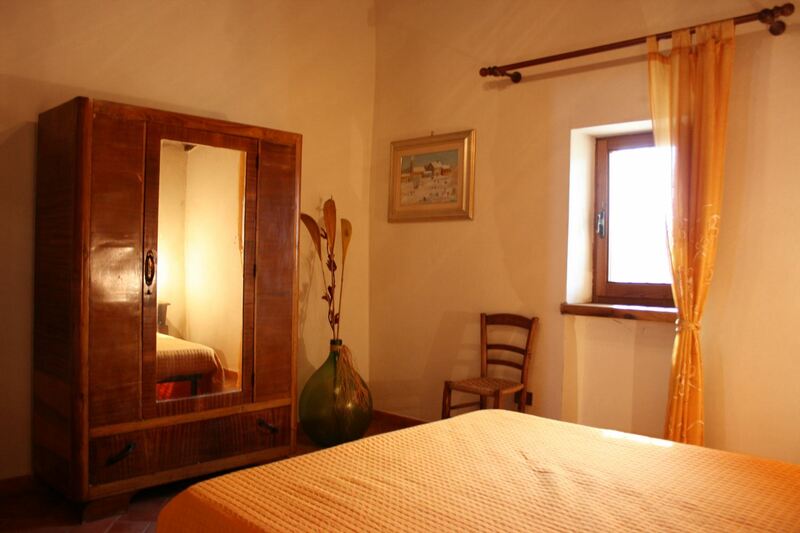 Furnishing, simple and functional in the typical rustic Tuscan style, well fits in with the farmhouse characteristics. 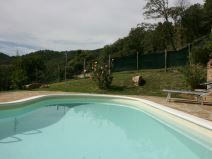 The outdoor space is about 700 m2 and the fence is 1,60 high, a 100% pet friendly property. 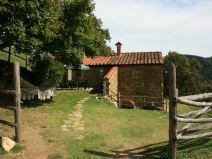 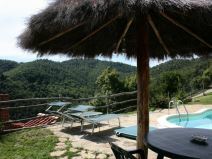 A vacation at the farmhouse Tribbiano is recommended to all those who love quietness and life in contact with uncontaminated nature. 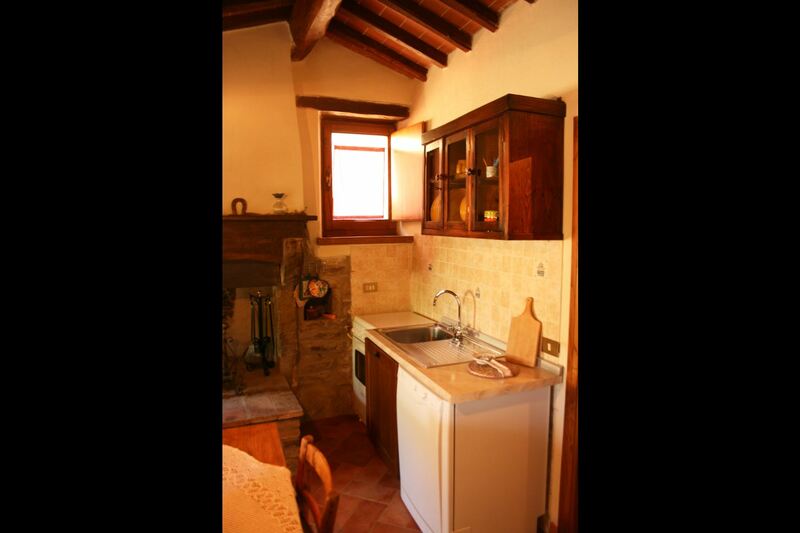 GROUND FLOOR: living-dining room with kitchen corner and fireplace, two double bedrooms, bathroom with shower. 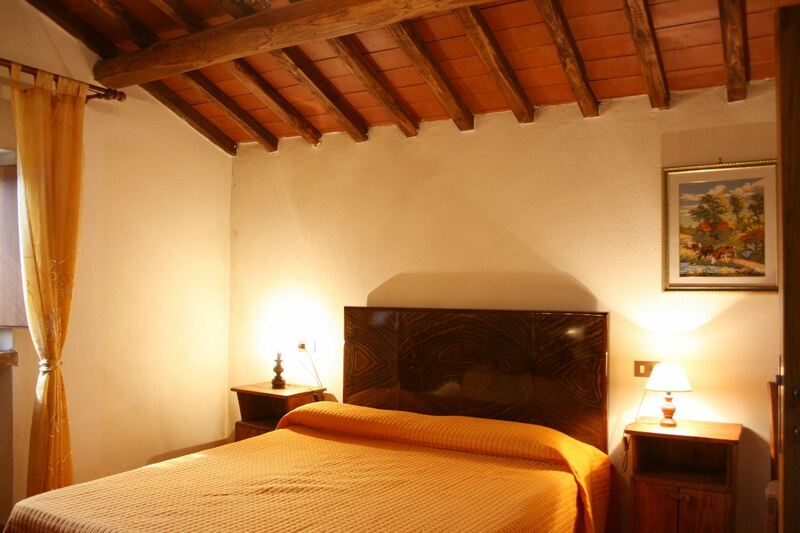 Possibility to add a single bed in one bedroom. 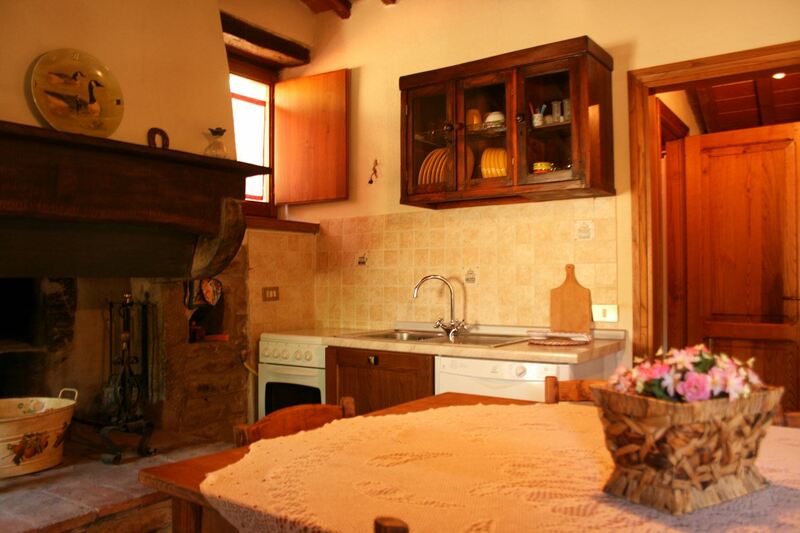 EQUIPMENT: freezer, oven, moka coffee maker, filter coffee maker, toaster, high chair, washing machine, iron and ironing board, Satellite TV, dishwasher, hammock, Wi-Fi Internet access. 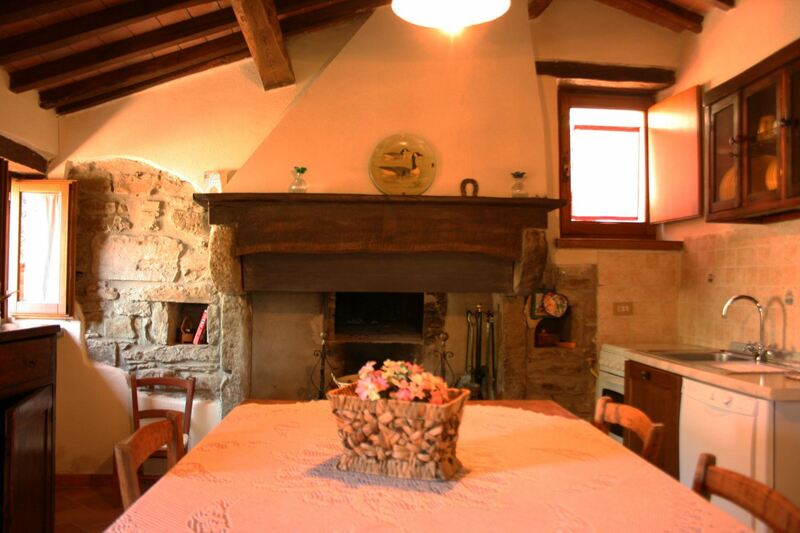 Heating with pellet stove in the living-room Euro 4 per day (if used).